Certainly, getting sacked six times (nine QB hits) in one game can get you concussed. 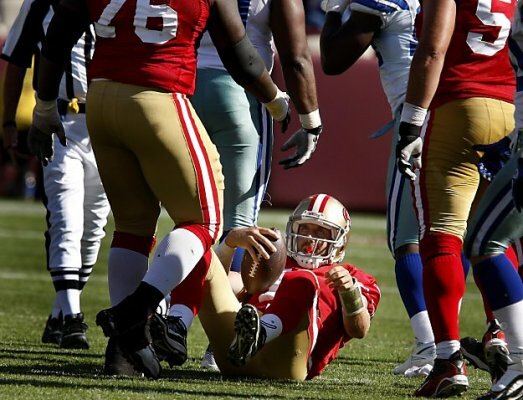 It has been revealed that Cowboys quarterback Tony Romo wasn’t the only signal caller who played through an injury during Sunday’s 49ers-Cowboys overtime thriller. Niners passer Alex Smith had the news manifested Wednesday, in which pointed to the Utah alum experiencing a concussion at some moment during the club’s 27-24 loss to Dallas. According to the team, Smith showed no signs of a concussion during the contest and showed symptoms later. He was monitored and came to a conclusion to have suffered a concussion. Under new league rules designed to protect concussed players, Smith had to pass a neurological examination and be cleared by both his team and an independent neurological consultant before returning to practice. 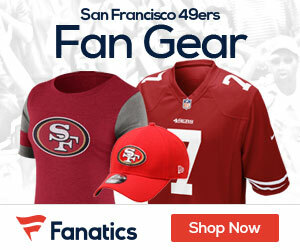 Be the first to comment on "49ers QB Alex Smith suffered a concussion against Cowboys"